We all want clean rugs free of dirt, odor, debris, and unsightly stains, but when children, pets, and accidents get in the way of keeping your rugs clean, Delray Beach Oriental Rug Cleaning Pros has the solution for you! We provide professional area rug cleaning, Persian rug cleaning, and other services to residents throughout Lake Worth, FL. 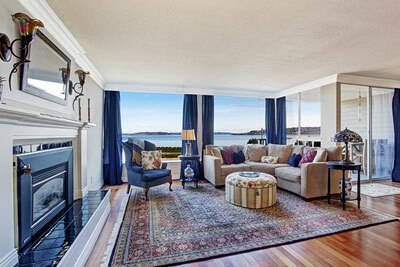 We clean area rugs and Navajo rugs of all styles and sizes, but we also specialize in cleaning high-end Oriental rugs. The methods of cleaning area, Persian and Navajo rugs are generally similar but vary in detail. We use the proper method suitable for the rug at hand, tailoring our approach to the particular needs of each individual rug. Some of the issues to consider are the condition of the rug, pile fiber content, dyes, foundation type and the weaving type of the rug. Having your rug cleaned is a valuable investment. With the proper care, you can enjoy generations of use and enjoyment. Our expert area rug cleaning services are designed to meet the needs of each individual rug we care for. We do our best to protect, preserve and enhance the investment in your valuable rug. With many new design trends surfacing, it is important to keep up with the times. Beautiful and intricate area and Persian rugs are a great way to update your space. If you’re thinking of renovating your living room or dining room, consider adding an authentic rug with a great design to add life to your room. Although these types of rugs are an investment, adding a statement piece to your home or office can be a cost-effective way to give your space a makeover. 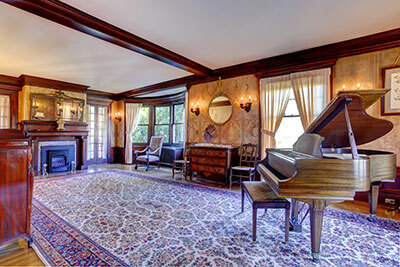 Whether you have an old rug in the attic or in storage, Delray Beach Oriental Rug Cleaning Pros can help you to restore the rug back to its original glory. Area rugs are an ancient cultural art form that many people have used for centuries to adorn their homes. These old-world crafts are as popular as ever, so let our restoration team help make your rug look its very best. Our team knows that rugs can also become frayed for many reasons. If your rug pad was installed incorrectly or if you don’t have a rug pad at all, this might contribute to premature fraying and other wear and tear. Sometimes when rug owners attempt to install a rug pad on their own, the work can be sloppy and result in a few imperfections around the edges of the rug. When you need professional rug re-fraying service, count on the skilled team at Delray Beach Oriental Rug Cleaning Pros to help you. The trick to rug re-fringing is knowing how to craft the original rug. We employ artisans who know how to weave many types of area, Oriental, Navajo, and Persian rugs. This means that we don’t just cap off the ends where the fraying has started to contain the problem. We can re-weave the rug to make it look like new again.